how do i make the BMI widget bigger vertically? 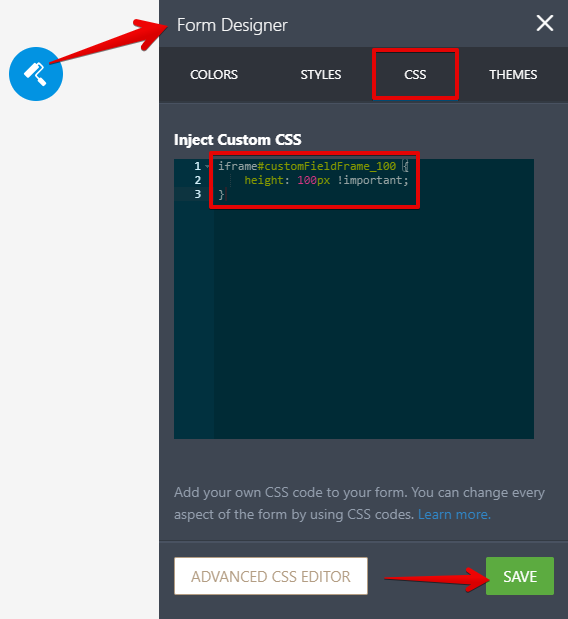 You can remove the current CSS codes you have injected into your form and the CSS codes you have injected into the Custom CSS tab of the widget. Once you have done that, you can inject the CSS codes below to your form (only). You may adjust the value of the height property to your preference.